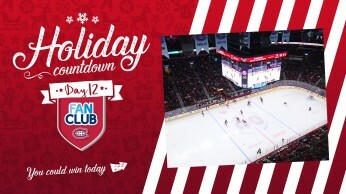 DAY 12 - Two spots on the press gallery to be won! 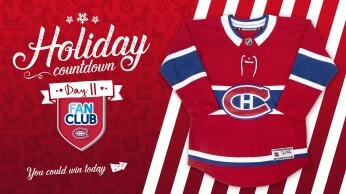 DAY 11 - A jersey signed by Price to be won! 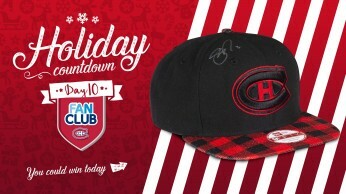 DAY 10 - A hat signed by Weber to be won! 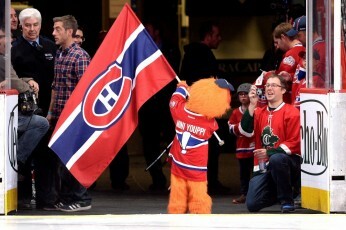 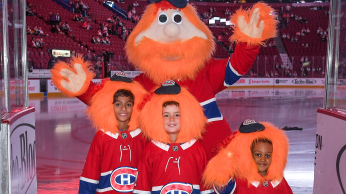 Three Mini-Youppi! 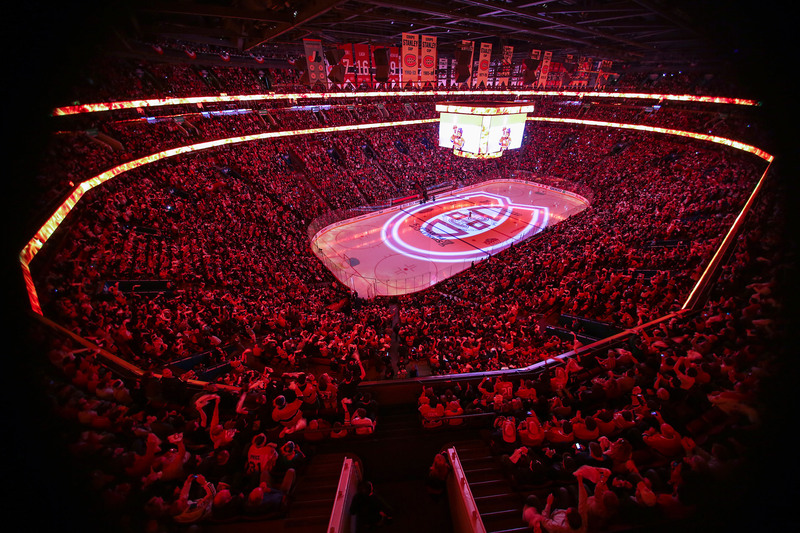 experiences to be won! 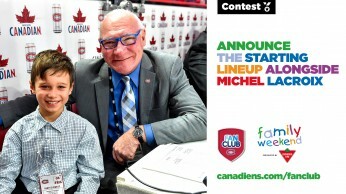 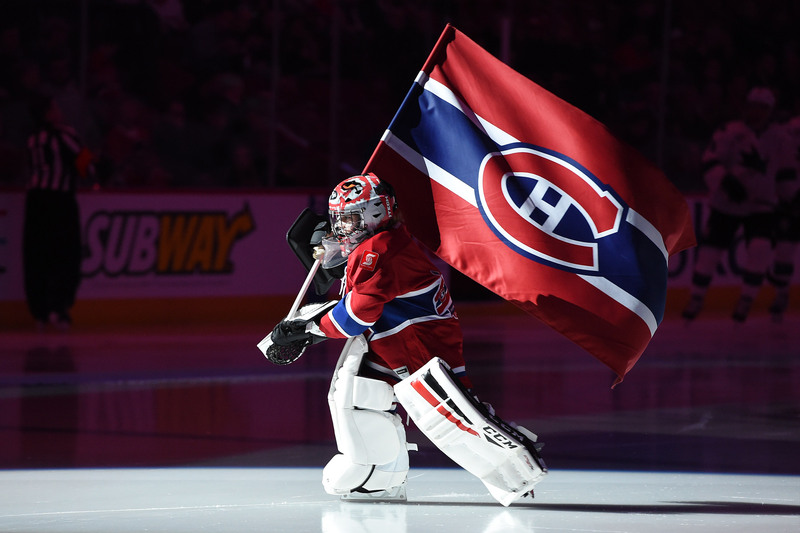 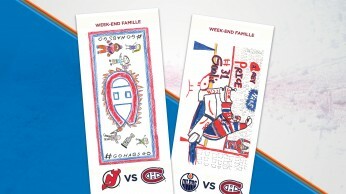 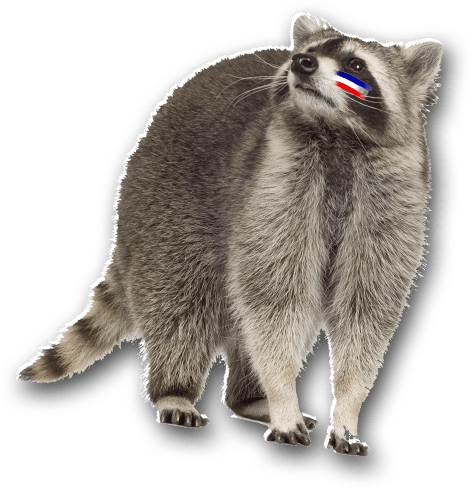 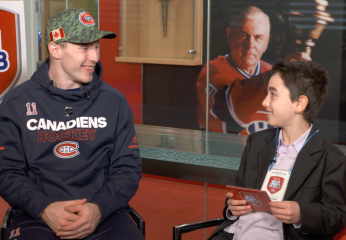 Win a dream Habs bedroom! 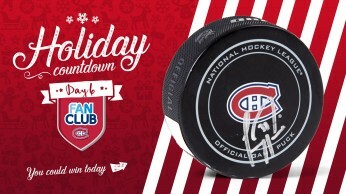 DAY 9 - A puck signed by Gallagher to be won! 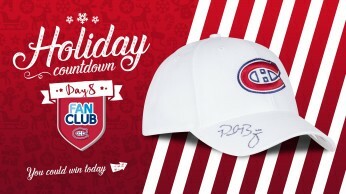 DAY 8 - A hat signed by Byron to be won! 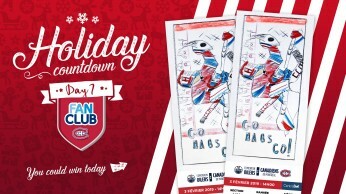 DAY 7 - Two tickets for a game to be won! 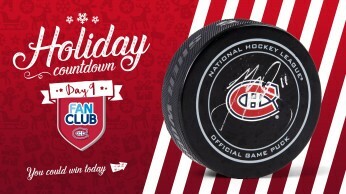 DAY 6 - A puck signed by Price to be won! DAY 5 - A jersey signed by Weber to be won! 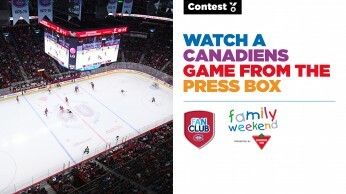 DAY 4 - Two spots on the press gallery to be won! 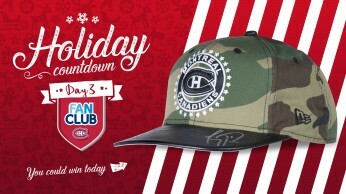 DAY 3 - A hat signed by Price to be won! 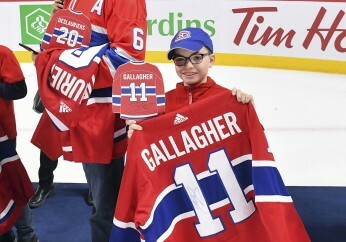 DAY 2 - A puck signed by Gallagher to be won! 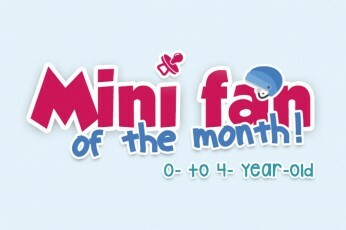 DAY 1 - Two tickets for a game to be won! 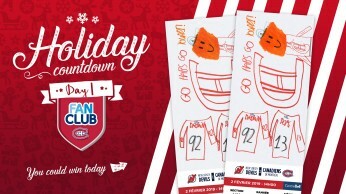 Here's your chance to win one of three pairs of tickets for a home game! 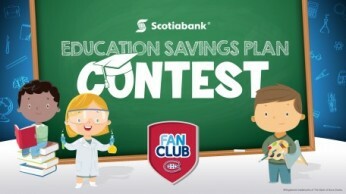 Take part in the opening ceremony of a game with Scotiabank Be Part of the Team! 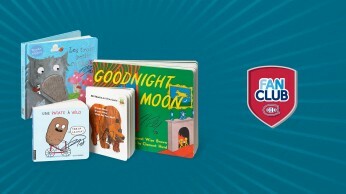 Four autographed books to be won! 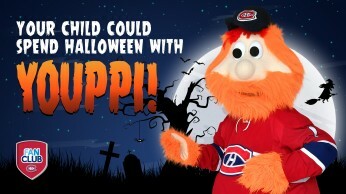 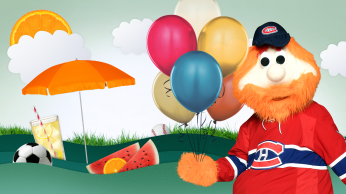 Your child could spend Halloween with Youppi!